Most business owners have an ideal customer in mind. But far too many of them only scratch the surface when it comes to describing that person. They create buyer personas, but they are poorly developed. It is not uncommon for this to be little more than a writing exercise. This persona gives a general idea of who their ideal customer is, but is far too generic to be of any real use. We work with many small businesses, and most of them know their prospects only at a surface level. The key is to have very precise targeting and really know your prospects. Knowing your prospects makes finding them and building rapport much easier and faster. You need a Precise Prospect Profile. A Precise Prospect Profile describes your ideal prospect completely and clearly—the center of the bullseye. Having the bullseye gives you a target—a place to aim your marketing. It exists to make your marketing effective and have your prospects hear you. Your Precise Prospect Profile gives you a competitive advantage. Because you know your prospects better than your competitors, you can acquire new customers more efficiently. You must know your prospects. Start by thinking about the best customers you already have. What are they like? How do they talk about their pains and problems? What words do they use? The words matter. What triggers them to buy? What else do they care about? Now you're on your way to developing a Precise Prospect Profile for your ideal customers, but you're not there yet. There are a few more steps. No worries! We'll help walk you through it. Click Free Download now and we’ll immediately send you our Precise Prospect Profile Kit. It’s everything you need to fully develop your buyer personas, get more leads, and boost your sales. At Inbound Team, we love helping small businesses use digital marketing to grow. If you need help with your Precise Prospect Profile or just want ideas to grow your company, click to get a free Lead Boost Review. Download Your Precise Prospect Profile Kit. Buyers have changed and they don’t behave like they used to. That’s why it seems like marketing and sales keep getting harder. For the specifics, read the CEO's 2016 Guide to Marketing. Everybody, today, has unlimited infomation at their fingertips. Through their browser, their smartphone, their social networks. We’re all surrounded by data. Because of this, Buyers have gotten control over the sales process. Many refuse to engage with salespeople except on their terms. What does this mean for you? You can’t keep doing the same old sales and marketing techniques and expect good results. Instead, give buyers what they want! Provide useful and educational information to help buyers do their job, answer their questions, and help them feel good about your company. All these technology changes mean we have to come at sales and marketing differently. Still, there’s some really good news. Prospects are more reachable than ever. Over 90% of working age Americans are on the Internet. They’re only one click away from becoming a lead. The key is to have very precise targeting and really know your prospects. Why? Knowing your prospects makes finding them and building rapport much, much easier and faster. I work with many small businesses. Most of them know their prospects at a surface level. But, they don't know their prospects well enough to accellerate their sales and marketing. Let's fix that for you. Here are the steps. Start by thinking about the best customers you already have. What are they like? Now you know exactly who you’re looking for. We call it a Precise Prospect Profile. just more fun. The fastest way to boost your B2B sales results. Whatever you do, don’t get caught up in chasing marketing tactics. Know your ideal prospect, and use that knowledge to pick the most effective tactics. Because you know your precise target, you know their problems and questions. So, you know exactly what content to create. There’s simply no such thing as writer's block when you really know your ideal prospect. Even better. You’ll also know the best ways to connect with your top prospects because you know where they hang out. Do they search on Google? Then optimize your pages to attract search visitors. Are they on Facebook, or Twitter, or LinkedIn? OK, connect with prospects via Social sites. Do you get your best prospects through referrals or targeted outreach? Great! They’ll want to check out your website anyway. All the ways you create content and get visitors. These are all tactics. Just know that everything gets faster and easier when you have a Precise Prospect Profile. So, I’m going to help you profile your top prospects. Click Free Download, and I’ll send you our Precise Prospect Profile Kit. It’s everything needed to boost your sales and start creating great leads. 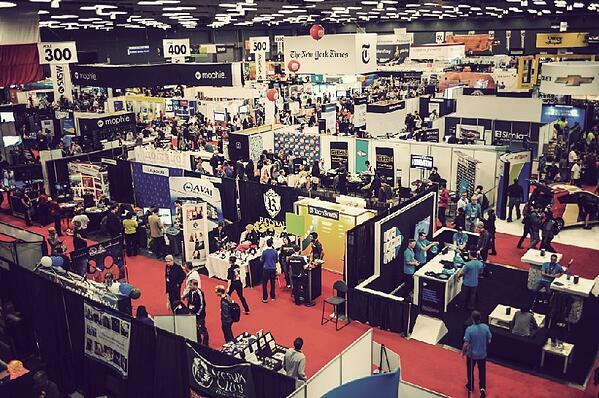 Recently, we compared inbound marketing with trade shows. Then, I came across a great article from our friends at Square2 Marketing about how to maximize trade show success with inbound marketing. If you attend your industry's top trade show, you may invest $10,000, $20,000, or more. Do you want to spend that money for your people to stand around in a booth and collect business cards? Or, would you actually like to get some real leads and have that event pay off? Inbound marketing can help you have a completely different experience at your next tradeshow. If you take an inbound approach, it will be money well spent. Planning is key for your event to be considered a real success. You need to start planning for your event 8-12 weeks in advance. Create your schedule first. Start backwards from the day of the event, and plan your pre-show, in-show, and post-show marketing tactics. Once the plan is complete, assign the individual tasks to your team. Inspired by the Square2 article, I made a handy checklist you can use for your next trade show. If you need help with any of this, don't hesitate to call and talk to us—inbound marketing is our passion! Why Can't I Predict My Sales? Marketing and sales don't work like they used to. Gone are the days when a little advertising and cold calling could lead to steady stream of appointments. Everyone has caller ID and ad blockers, so interruption marketing tactics rarely work. 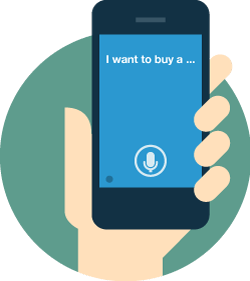 Smart phones and the Internet have given all the power to buyers—the buying process has changed. Your selling process must adapt to meet the needs of your prospects and close the sale. The key to building a predictable, scalable marketing engine is to start with strategy. Marketing strategy involves identifying and understanding your best prospects and then sending the right messages. 1. Who are your best prospects? The more precise you can be the better. What messages do they need to hear to get interested and ultimately become a customer. 2. What makes your company remarkable? Remarkables are things about your business that make prospects say "Wow!" and cause them to tell their friends. 3. Do you have a strategy, including an execution plan? You need an editorial publishing calendar that lays out the plan for your marketing team. It should describe the content and schedule, and also cover how the content will be promoted and distributed to prospects. Dark and difficult times lie ahead for those that don't adjust to the new reality. Read the CEO’s 2016 Guide to Marketing and learn what has changed and will bring you results in this new climate. The buying process has changed. Buyers now go much longer before being available to talk with your sales team. Studies have estimated that 60% or even more of the buying process is over before the buyer is ready to get a salesperson involved. Buyers are almost fully in control. Your best strategy is to give them what they want! Provide useful and educational information that answers their questions and helps them feel good about your company. Do this, and you’ll be positioned to make the sale once they’re actually ready. If your prospects are searching, you'll start to show up. And over time you'll get more and more visitors. That's the best thing about this kind of marketing, your results keep improving! If your prospects are not searching, something else is needed. Targeted outreach. The right prospects are open to helpful information, they just don't want to wait for, or deal with an annoying salesperson. Today's Internet offers a variety of ways to identify your best prospects and get their attention with valuable content. Prospects get what they want on their terms, and they like it this way. Give them what they want and they'll love you. Dark times are on the horizon for companies that don't adjust to the new reality. The buying process has changed but also created new opportunities. Read the CEO’s 2016 Guide to Marketing and learn what no longer works and what will bring you results in this new climate. 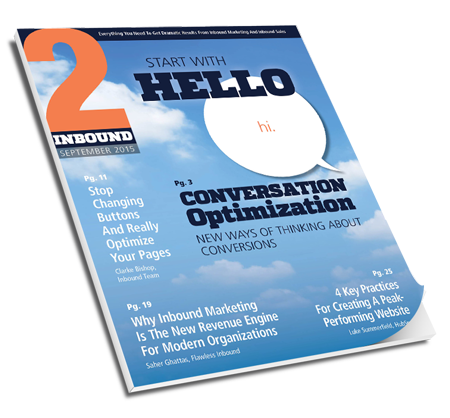 The “Inbound Out Marketing versus…” series has been an eventful one. So far, we’ve found that Inbound Out marketing can make a valuable addition to trade shows, direct mail advertising, and social media marketing in your overall strategy. I love SEO. I think any smart digital marketing strategy takes it into account. You simply can’t beat search engines’ potential for sending loads of targeted traffic to your site. Once you’ve got this traffic, it’s completely passive. You can let it be and focus on other parts of your business, or work on increasing it even more. Inbound Out marketing can be implemented immediately. While SEO is a long-term tactic with valuable long-term results, Inbound Out marketing can achieve measurable results right away. The variables to consider are simple -- response rates, lead generation, sales. Almost immediate feedback allows you to continually optimize your strategy and improve your results. And finally, you need to wait for that link juice to be reflected in your rankings. If it’s not enough, you need to attract more (or higher quality) links and social signals. Only a few of these steps are under your control. Once you have carried out a step, the rest is up to the search engine’s algorithm. It’s a waiting game. And there isn’t a distinct end to the game until you hit that first page. Until then, you have to continually guess whether or not you need to put more effort into the campaign, or whether you need to wait longer for those signals to sink in. For this reason, many people dial back their SEO and focus on other tactics to grow their business -- like Inbound Out marketing. Inbound Out marketing can be implemented immediately. There are preparation phases (Strategy, Precise Prospect Profile, gathering a list of targeted prospects, and creating buyer-focused content), but all of these phases are entirely under your control. You control how long they take. Then you immediately transition into the Targeted Outreach phase. This is where the magic happens and the results begin. You establish connections with your direct target audience, entice them to become leads, and convert them into sales. No waiting. Just direct results from your efforts. All of these variables affect your results. And since search engines keep their algorithms secret, much of this is guess work (even for SEO “gurus”). You know your response rates in real time, you know how many leads you’ve generated from each campaign, and you know the percentage of sales that came from those leads. This makes budgeting for your campaigns much easier. And because these variables are easy to measure, you can continually optimize and improve your results. It’s inherently tough to measure what’s working best in SEO until 6 months to a year down the line. This is because 1) it takes a while for your efforts to be reflected in your rankings and traffic, and 2) you don’t truly know which efforts contributed more or less to those results (since the algorithms are secret). Things that are tough to measure are tough to improve. With Inbound Out marketing, since you get almost immediate feedback from your prospects (even if they don’t respond to your marketing, that’s still feedback you can use), you can continually optimize your strategy. You can consistently analyze what’s working and what isn’t. In terms of business growth, this is the most valuable information to have at your disposal. But it has certain pitfalls that Inbound Out marketing can make up for. Inbound Out marketing can be implemented immediately and achieve results much faster. The variables involved are simple and easy to measure, and since you get almost immediate feedback from your marketing, you can optimize your strategy and improve your results in real time. Traditional marketing is changing. Why? Because buyers have changed. Download the CEO's 2016 Guide to Marketing now to learn and execute your own 2016 marketing strategy today. Inbound Out marketing can make up for a lot of the pitfalls of SEO. 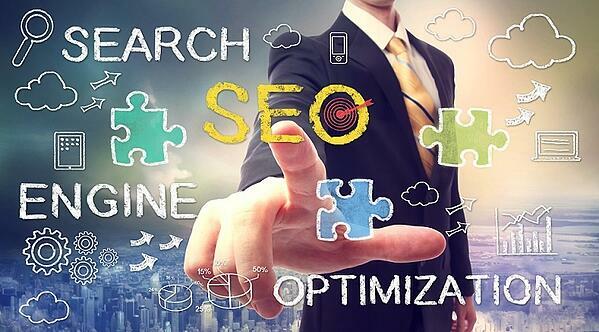 SEO is a long term strategy, while Inbound Out can be implemented immediately. The variables are more measurable, allowing you to get feedback and optimize your strategy more efficiently. Marketing and sales don’t work like they used to. Buyers have changed and don’t behave in the same old ways. Many businesses are finding it hard to grow because traditional marketing doesn’t work well any more. A little advertising or cold calling used to lead to a steady stream of appointments. Not today. What’s changed is that buyers now have control over the sales process. The Internet has made information available to anyone who wants to be connected. Sellers used to control most of the information and buyers were forced to interact with salespeople. Now, buyers have all the needed information at their fingertips—through their browser and even their smart phone. Buyers refuse to engage with salespeople until they are ready. Even then, it’s only on their terms. Since the buying process has changed, you must adapt your selling process. The CEO's 2016 Guide to Marketing will teach you the steps that buyers go through in any buying decision and how you can use marketing that matches this new modern buying process. Marketing has changed, but also created new opportunities. 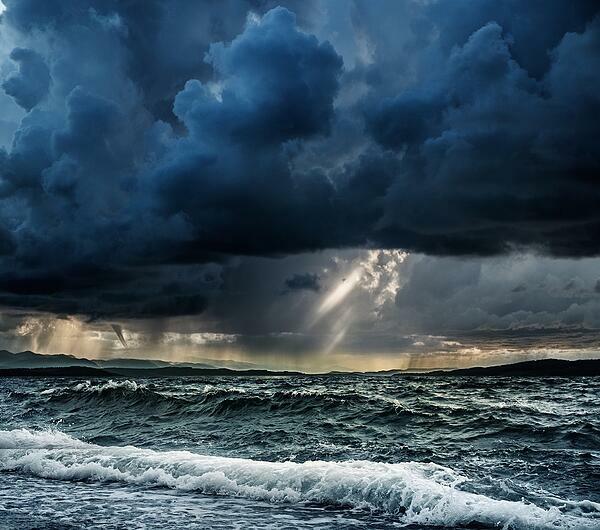 There are storms ahead for companies that don’t adjust to the new reality. Read the CEO’s 2016 Guide to Marketing and learn what will bring you results in this new climate. I'm very pleased to have an article in the September 2015 issue of 2Inbound magazine. The issue is all about how to improve your conversion rates, and my article specifically covers all the areas you should consider. For now, subscriptions are free, so get your copy right away. My article starts on page 12, but the magazine is full of good ideas. As a summary, below are the seven areas to consider as you start optimizing your pages for better conversion rates. Read the full 2Inbound article for more details and for Quick Tips on how to improve each area. Who is visiting your page and where are they coming from? If you have the wrong kind of visitors coming to your page, they are not going to take the desired action. Alignment means going through the entire flow from search result or ad to landing page to offer to premium content to thank you page. Ensure that you always deliver on your promise and that you have a consistent message throughout the flow. The value of an offer is determined by the buyer and by what they want. You may have spent a lot of time and money creating a beautiful PDF. But, if the buyer thinks it’s off topic or is a bunch of self-promotion, it has no value. Not to them. Is your landing page as clear as possible? Can visitors tell exactly what to do? Most of us don’t pay close attention when reading websites. We are skimming and just want to get what we want as fast as possible. So, make it easy for visitors. Don’t force people to think. What might worry your landing page visitors? How can you keep them safe and help them relax? What could distract your visitors and stop them from moving forward? Images can help tell your story. Just watch out for photos that are more interesting than your offer or your copy. What might be hard to use or confusing? Friction occurs when the page or form is hard to use. Long forms look hard to use even if the requested information is simple. Only ask for the information you absolutely must have right now. First name and Email for example. There's a lot more, so read the full article, make your pages convert, and get more leads! Eighty-nine percent of Internet users search online before they make a purchase, even if they don't buy online, according to Fleishman-Hillard. It's absolutely essential for successful CEOs to care about marketing. If you are not found on the Internet using inbound marketing, you don't exist. Buyers have changed, so there has been a significant shift from outbound marketing to inbound marketing. More and more businesses are using inbound marketing to connect with prospective clients and nurture leads, and for good reason. Search engines are usually the first place people go when they are researching a topic or a purchase. It has become second nature to "google it." So when people go to Google to research a product or service your company provides, will they find you? CEOs have long been frustrated with marketers because the effectiveness of traditional marketing is hard to measure. Fortunately, inbound marketing is much easier to track and measure. Comprehensive reporting regarding online marketing activities allows you to make more informed decisions and easily get insight into what’s working and what’s not. You can easily see traffic data such as unique website visits and social media engagement, but even more insights can be easily discovered. With the right analytics tools, you can discover actionable metrics such as conversion rate, referring keywords, bounce rate, and much more. 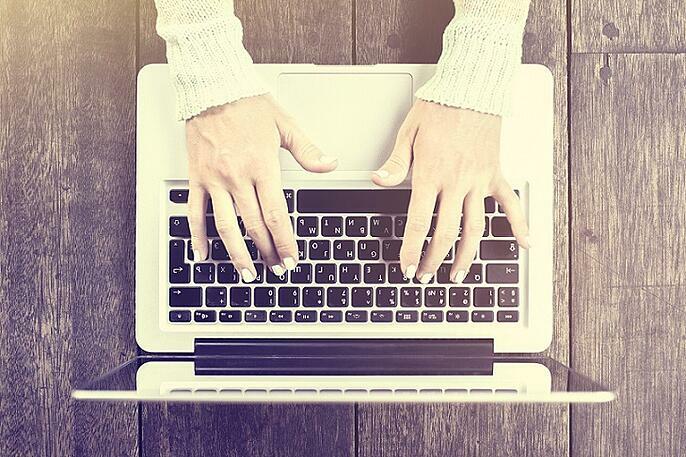 Your online content can be your dream employee. It keeps working even after your employees go home. It works 24 hours a day, seven days a week—rain, sleet, or snow! You can easily reach audiences at all hours of the day—or night. And inbound marketing helps you do it a thousand times over, all day every day! There once was a time when CEOs didn’t need to pay attention to the online world because audiences were small. Those days are over. The move from traditional advertising to online advertising has been steadily occurring for a long time now. And, rather than slowing, this trend has accelerated because of the huge surge in smartphone usage. 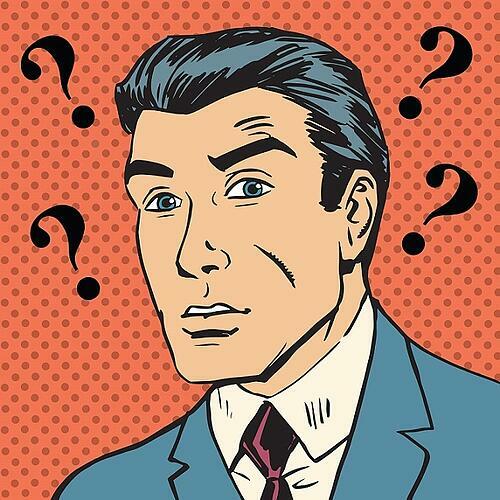 Finally, CEOs should care about inbound marketing for one simple reason: it’s effective. According to Demand Metric, inbound marketing costs 62% less than traditional marketing, yet each dollar spent on inbound marketing generates 3 times as many leads as traditional marketing. So in addition to saving you time and money, inbound marketing can help grow your business faster. Ultimately, CEOs need to care about inbound marketing because it finds and converts customers, raises the bottom line, and builds your business by drawing prospects to you. If you want to learn what leads are costing you, visit our Lead Investment Calculator for an estimate tailored to your specific situation. Eighty-nine percent of Internet users search online before they make a purchase, even if they don't buy online. Buyers have changed the way they do business. Inbound marketing helps you connect. Each dollar spent on inbound marketing generates 3 times as many leads as traditional marketing. 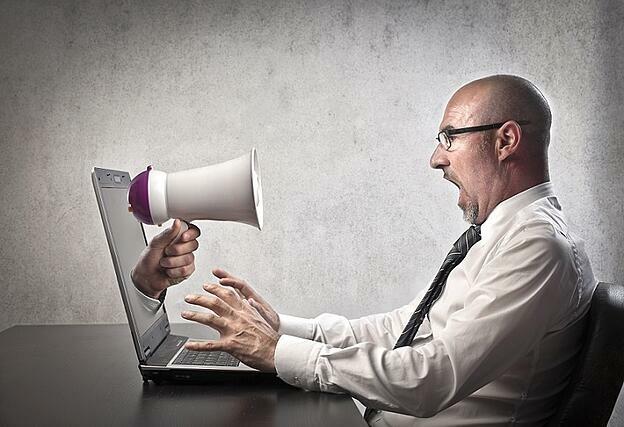 Inbound Marketing—It’s marketing with a magnet, not a megaphone. Communication that acquires customers by attracting and nurturing with exceptional content. Information that helps them and doesn't constantly interrupt them with "Ooh, ooh, look at me ..." noise. It seems like new marketing tactics get invented every day—some of them will actually help you get more great leads. Read on, and I'll show you how tactics you've heard about are used in Inbound Marketing. Think of your sales and marketing process as a funnel. Fresh prospects come in at the top of the funnel, happy customers flow out the bottom. As a business owner, your goal is to maximize both the number of people you attract at the top of your funnel as website visitors and the number that become satisfied customers at the bottom. Before potential customers can find you, you must first create content that attracts them to your site. It's called content marketing because it uses content to attract visitors and increase traffic. Google loves content and just having the content will naturally start to attract visitors. Still, there's more to do for full Search Engine Optimization (SEO). Social media marketing and search engine optimization drive prospects to your website. Optimizing keywords targeted to your desired audience will ensure your content is found by online users who are actively searching for the information you are providing. And social outreach lets you connect with prospects wherever they hang out on the web. Landing pages allow visitors to share their contact information with you and help you identify the type of content they are interested in. Calls to action also help convert website visitors to leads and customers. And please, don't get email addresses and then ignore your fresh new prospects. Use email to continue to add value and nurture your leads. Monitor your results and adjust your tactics and messages. Inbound marketing puts your company squarely on the path of your customers' decision making process. Use inbound marketing to deliver the perfect message, at the right time, in the right place, for the right person, at the right price. Inbound Marketing does take some work and the right tactics vary from one company or industry to the next. Visit our Lead Investment Calculator for an estimate tailored to your specific situation. Inbound marketing tactics help potential buyers find your business when they are ready to buy. Use inbound marketing to increase the number of people who enter the top of your funnel as well as the number who flow through and become customers. Create remarkable content to attract visitors and delight them as they move through your sales funnel.